Today is a big day for me, and for our family. Today I am getting a promotion! No I am not taking a leap and moving up the corporate ladder, today I become a stay at home wife/soon to be stay at home mom to our son. I couldn't be more excited to type these words and finally see a dream of mine come true. Becoming pregnant and venturing into parent hood brings lots of big decisions. Beyond the work/daycare/stay home question, there is the discussion of names, discipline, religious teachings, etc. Good thing the Lord gives us 9 months to prepare! Jon and I have known long before we even became pregnant that when we started a family, I would be a full time mother. I still can't believe it is really happening and I thank God and my husband daily for this opportunity. It is an opportunity that doesn't come at an "easy price". I feel incredibly blessed that Jon is able to provide for our family financially but more so I feel grateful that he also provides the emotional support for me to stay home. There was a time at the beginning of my pregnancy that I had just received a raise and thought maybe I'd go back part time but Jon has always been my biggest cheerleader for staying home. He knew it is was something so close to my heart and knew it was something I would never, ever regret. As Christ followers we believe each one of us is given spiritual gifts to use to further the Kingdom of Heaven. Beyond becoming pastors, missionaries, or evangelists, God gives many of us strengths and the opportunity to be a witness in everyday jobs and careers. As much as I have really enjoyed my job the past few years (great company, wonderful coworkers, traveling, learning), I've never felt a true calling towards it. My calling is in motherhood and this journey has only just begun. I believe I was meant for lots in this world and I am only scratching the surface. I cannot wait to see the story the Lord has written for my life as a mother. I know for a FACT that my new job will be hard. There will be days I don't see the outside of my home or the inside of a shower and days where I crave adult conversation but I am so confident in my success as a mother. I like to think of it similar to my pregnancy. My pregnancy was hard and I could have easily complained and been the most pessimistic, miserable person ever. But I didn't. I know many women who would kill to stay home with their children and I will never take that for advantage. I have so much respect for women who work outside of the home, I don't even have kids yet and sometimes feel overwhelmed having to juggle work/my home/my marriage/my social life. Like I said, God calls some women to use their gifts as doctors, lawyers, teachers, stay at home moms. The next few weeks will be a whirlwind and I am really looking forward to fall knowing that will give me time to get to know my baby, hopefully sleep a little bit, and get into the swing of things as a full time mommy and wife. I get giddy excited thinking of walks with Ernie and baby, afternoon naps on rainy days, and I've already joined our neighborhood Moms club. Jon has been such an encouragement these past few months and keeps a countdown until my "promotion" as he calls it. I look forward to what the future holds for us as we anxiously await the birth of my new boss! Adios corporate world, this domestic engineer/household COO/cruise director is ready for duty. Oh and last night I realized I started my current job 2 weeks after we got married and I am leaving it knowing in 2 weeks I will be holding my baby boy! YAY! That is so awesome, all I have heard from friends who are stay at home Moms is how much they enjoy it even though it is hard work. I know you will be great!!! 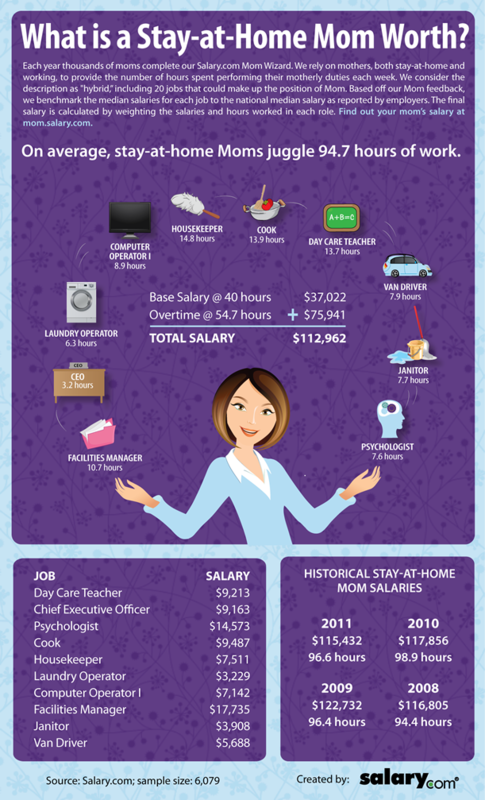 My dream is to also be a stay at home mom, but living in D.C. (with crazy high mortgages) makes it a bit harder. Tolar and I are praying about and I'm looking for opportunities to work from home so I can stay with Baby K and be there for her thru everything. I'm so excited for you Ruthie. You are going to be an incredible Mama! Congrats!!! It has to be the most rewarding job! I love being a SAHM and I also knew it was what God meant for me to do. Sometimes it can be hard financially, but being able to care and be there 24/7 for your child is worth more than any money! Best of luck!! Can't wait to see pictures of baby Hart! Get some rest!! I love the way you put that Motherhood is your calling! It may not be best for everyone but for those who are called to it it just makes sense if it is financially feasible! Thrilled for you! Congratulations! I was able to spend the first 2 years of my son's life as a stay at home Mommy. It was the best, and I am so grateful I was able to have that time. Congratulations, Ruthie! The decision to stay at home with my daughter was the best I ever made. You will love spending your days with your little guy, even the hard ones! Congrats! Love this post. I definitely want to be a stay at a home mom as well. I was working sixty hours a week and my hisband was working three jobs when I got pregnant. I quit my job and we moved six hours away so my husband could finish school. When my son was born, we had no money. By the grace of god we survived. And not only did we survive, but my husband got a job as a lineman (what he went to school for) when my son was just a few months old. This job is so good. It pays crazy crazy good. It allows us to be provided for. And it allows me to be a stay at home mom. Here's the thing though. We didn't wait for god to give this job before making our decision. We took a leap of faith and we trusted that god would provide. I knew I was meant to be a stay at home mom every day and we purposed for that. I truly believe god wants me to stay home with my son and if other mothers feel the same I always encourage them to do so. God WILL provide! So happy for you ruthie. Best choice you could have made! So excited for you Ruthie!! Congratulations on the promotion!! Now, come on baby Hart!!!! So exciting! What a wonderful chance to spend time with your little one and it's definitely a promotion!!! YAY!!!! You will love your new job!!!! It is the hardest job in the world, but you will be so happy you did it. Just remember, the beginning is going to be the most tough, but you will both learn and you will get used to it, and everything will be wonderful. I sit here 3 months later and can't remember how hard it was, even though I know those moments existed. Will be sending lots of prayers your way! I can't wait till baby boy is here!! And ahhh, I just want to know his name so badly! YAY!! :) You're going to be SO GREAT at your new job!! LOL, ur too funny, Ruthie! Congratulations Ruthie! Being a mother is truly the most important job in the world. As the Army used to say, "It's the toughest job you'll ever love!" I have been a SAHM for 21 years, and it has been such a blessing. So, so happy for you Ruthie!!! Congrats on your promotion ;) I know you'll be great at your new job mrs. momma!!!! CONGRATULATIONS on your new promotion!!! I'm sure it's the BEST one you can get! You and I are one in the same, my calling is to be mother too! I can't wait for the day I get the same promotion! Until then, I will looove seeing all of your posts on precious Baby Hart! This is the best type of promotion out there! Such a blessing to have a husband who supports you. Chris and I talked about this same situation of me staying home once we have kids and I am so fortunate that he will do whatever it takes to make it possible! Now we are just waiting on Baby Hart to officially make you a Momma! Congrats! This really is the best promotion you could ask for! I will never take for granted what a blessing it has been to be there for all the little things not everyone gets the chance to sit and notice. It's HARD, and its frustrating, and iycan often leave you feeling pretty drained, but its such an incredible blessing. I have never learner more about myself and my roles as a wife and a mother than I have these past 3 years with my daughter. Good luck! HUGE congrats to you on the BEST promotion out there!!! So exited for you ruthie! You are going to love it!! ;) being home with Christian is the best and we love stroller walks with our puppy too! Let the journey begin! It still surreal for me that I'm a sahm! Lol come on baby hart! That's great! It's so rewarding to see every little milestone. I am a working stay at home Mom. It's so much fun, but very tiring to work and take care of my son but I wouldn't trade it for anything. I'm going to show my husband the 2 photos in your post. Of course the first one cracked me up and the 2nd one is always a good reminder. Good Luck!!! Congratulations on your promotion, Ruthie! Being a stay-at-home Mom is a dream of mine, too! I actually work almost 100% out of my home right now, and really love it. It seems that all of my co-workers have stayed with the company past childbirth, and into child rearing. The hours are SO flexible and many mommies work during nap time, or after the kiddos go to bed at night. Of course, juggling everything cannot be easy, and I commend you for taking on the role of supporting the home 100%! Your home life will be amazing because you have made this decision! So proud and happy for your journey! You will be so happy! I decided to "get a promotion" almost a year ago and have never looked back! It is definitely not as easy job, but very rewarding! Proud of you Ru! Love you! I love it! It was so hard at first, but now that's son is 9 months and becoming a little boy I'm so glad I'm home to share the adventures. Yaaaay!! Congrats on the blessing of being able to stay home with your little guy. All mommies have a calling to be mommies, of course, which is why they ARE mommies, but each one is called to fulfill that job differently and each way takes sacrifice. So happy you are finding the way God is calling you! please give my blog a visit!! 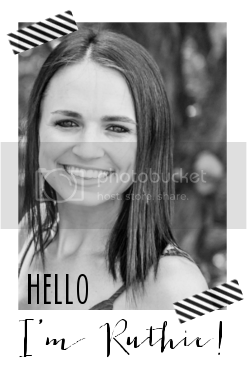 Big fan of your blog Ruthie, and congrats on your Promotion and good luck with the birth of your beautiful boy. I can't wait to hear what you've named him!! SO excited for this new adventure for you. Dont put too much pressure on yourself to keep your house up when baby gets here. It is so hard to let it go but some days you just have to!!! I am very excited for you! I know you will be a wonderful SAHM! Congrats! It's a tough job at times but so so worth it! congratulations girlfriend!! i am so happy for you! and for me! because now i will have a SAHM friend to chat with during our newborn insanity days ;) hehehe. if only we were closer! i mean... i can move to TX. much better than MN! haha. anyways. i love this post. i can totally relate. and it is such a wonderful thing to get the chance to do! yay for your family! Ruthie, I am so thrilled for you. You are gonna LOVE it! Especially since your husband is SO supportive. I think that is the key. 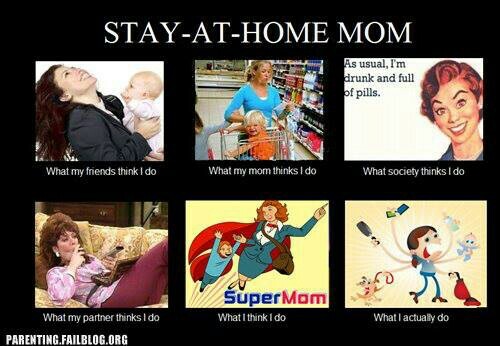 I'm a stay at home mom too! It's one tough job! Congrats! I love that you two call it a promotion :) I just love the two of you together period! Yes yes yes!! I love this post and really love how positive and optimistic you've been throughout your entire pregnancy! YOU ARE PRECIOUS! I can't wait to see (& hopefully meet!!!) your sweet baby boy! So happy for you Ruthie! :) Congrats! !